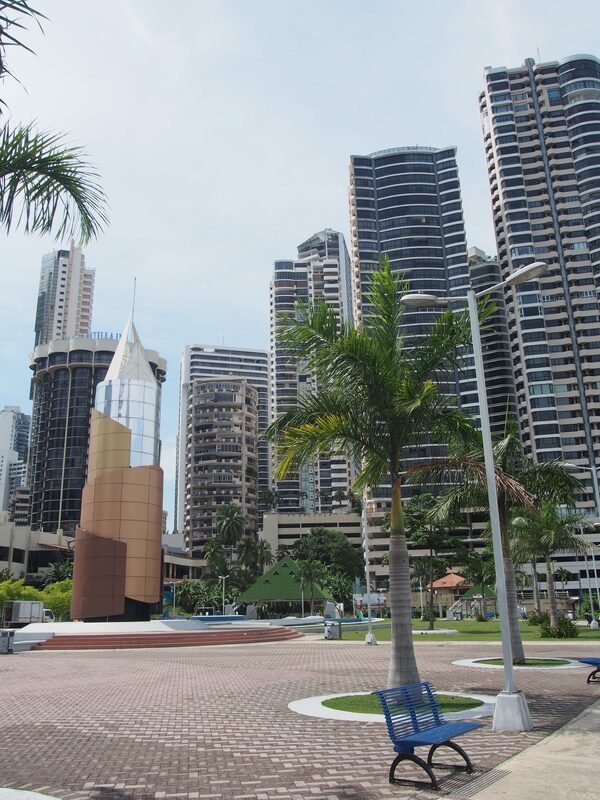 After our San Blas sailing trip we were dropped off in the big city – Panama City. Coming from these small islands it can be quite a shock to be released to the „real world“. With just around 800.000 inhabitants it is actually quite small for a capital. 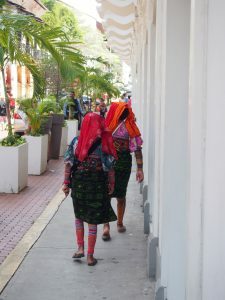 However, it is totally different to any capital in South America. Most of the city is full of modern skyscrapers, huge malls and international restaurants. Then, at the end of a long boardwalk, there is this old and traditional fish market as a contrast to the modern world. 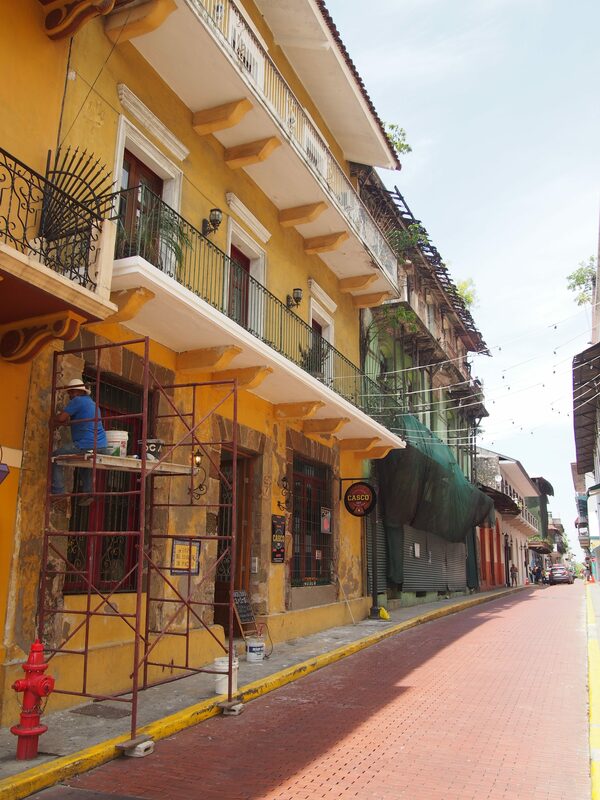 Behind the fish market starts the Old Town (Casco Viejo) with only small, colonial buildings. 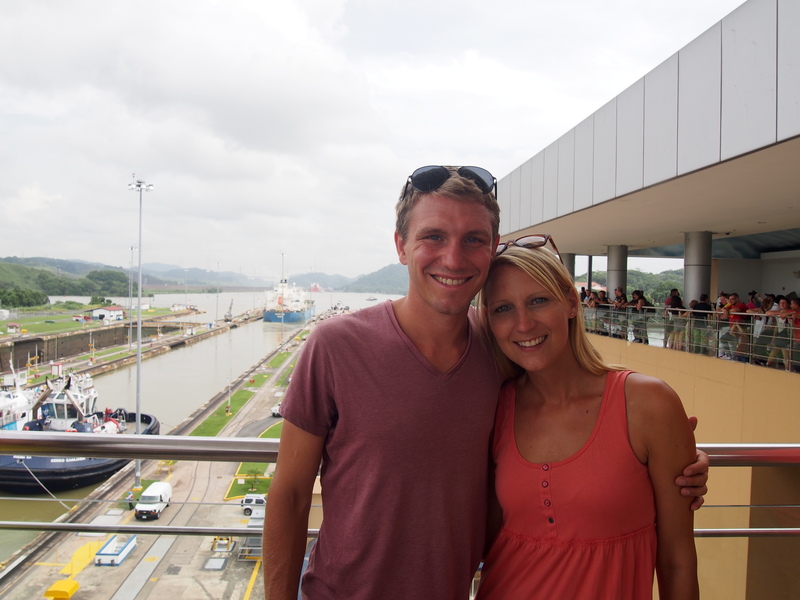 However, the main attraction of Panama City is the Panama Canal. Especially Jens was very excited to go there. 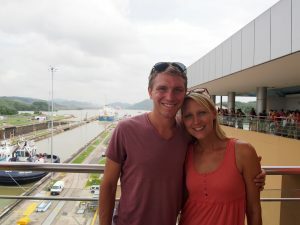 Many people told us before that a visit to the canal wasn´t very exciting. And to be honest, it is true. This is because you can only visit one small section of this impressive 80 km waterway. 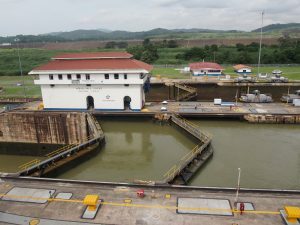 The Miraflores lock with the visitor center is just one of three locks. 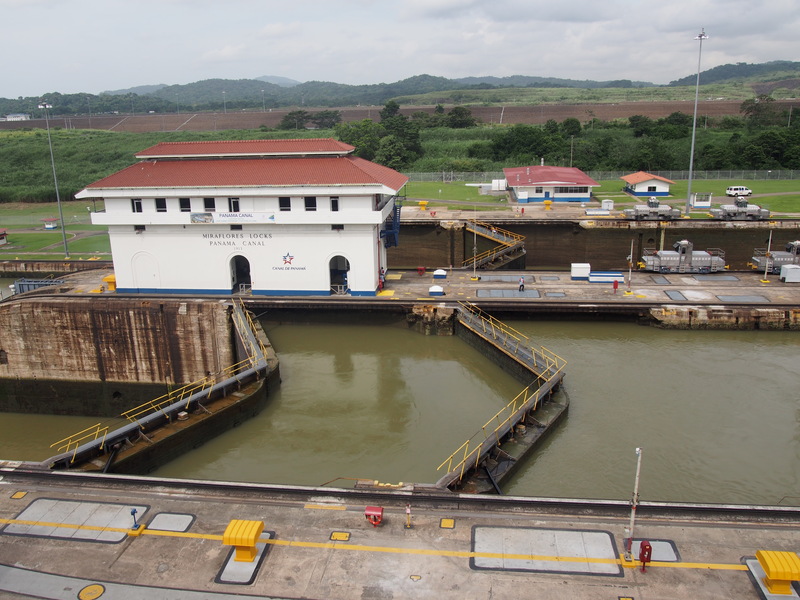 You can see huge vessels passing the canal here, but it is a rather slow and boring process. However, getting to know the history and facts of the whole canal is very interesting. 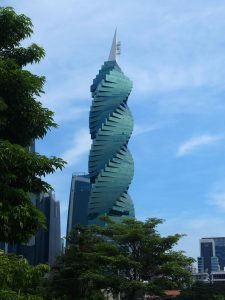 The museum gives some great explanations and shows in pictures and movies how it was built and how it works. 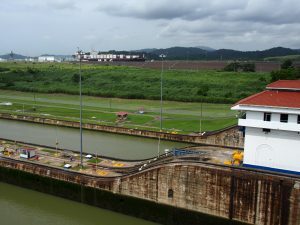 The Panama Canal was opened in 1914 with the passage of the SS Ancon, transiting from the Atlantic to the Pacific Ocean. The canal was under American operations until in 1999 Panama took over the administration and operation. 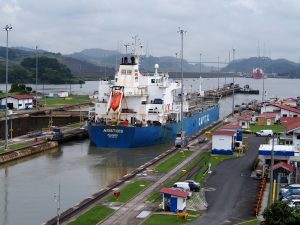 The canal serves as a maritime shortcut connecting the Atlantic and Pacific Ocean, saving time and costs in transporting all kinds of goods. 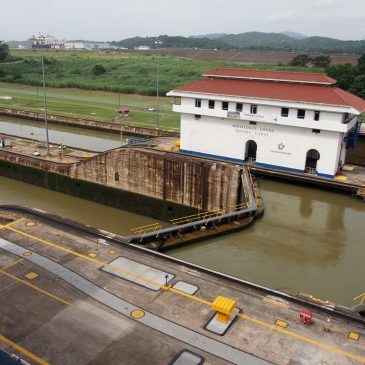 The canal uses a system of locks with two lanes that operates as water elevators and raises the ships from sea level to the level of Gatun Lake, 26 meters above sea level. 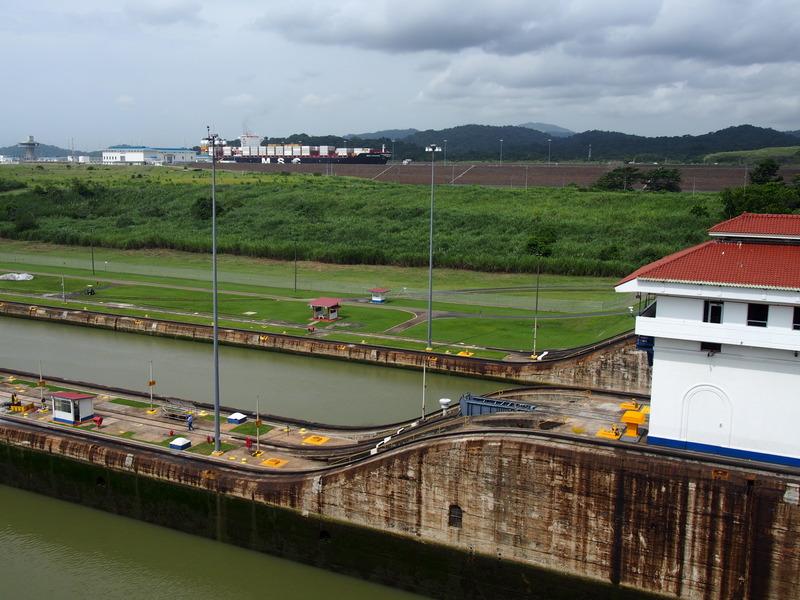 The water used to raise and lower the vessels in each set of locks is obtained from Gatun Lake and poured into the locks through a complicated system. 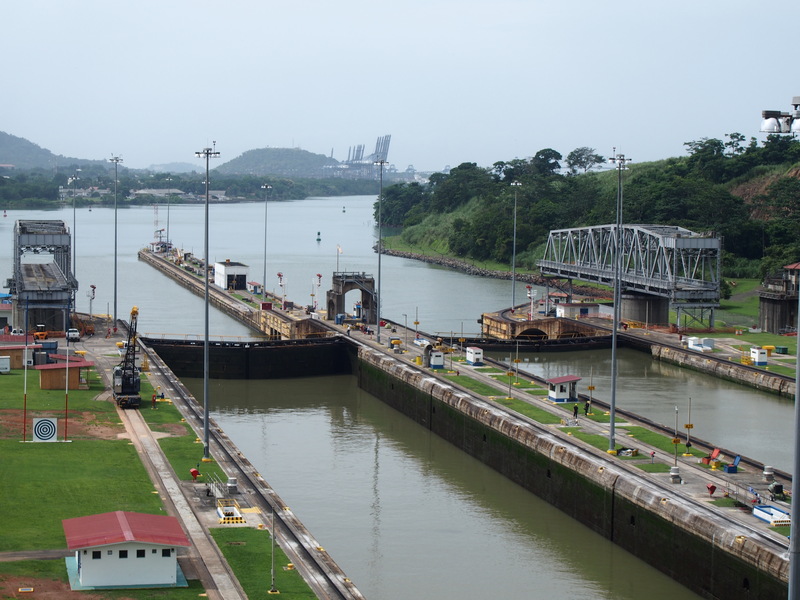 Since the opening of the Panama Canal more than 1 million ships have passed. 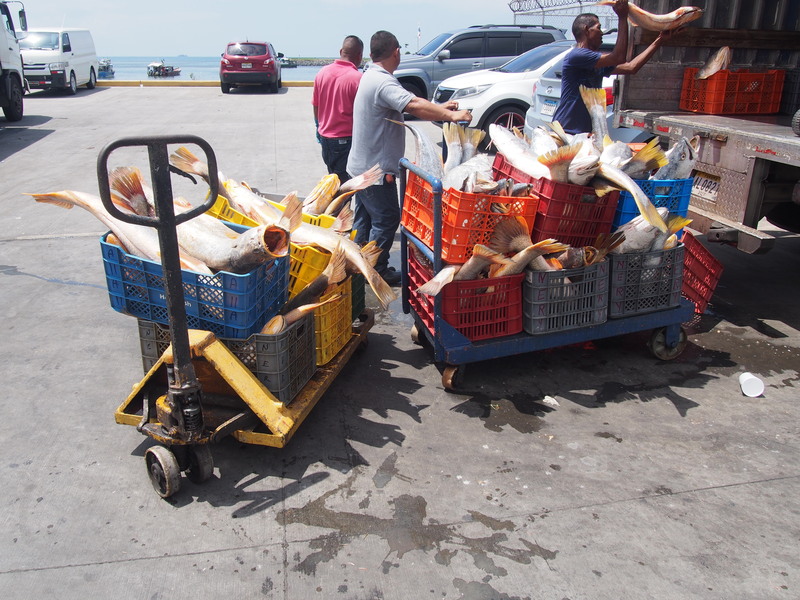 The prices vary depending on the size of the ship, generally it is around 300.000 to 500.000 US Dollar. Since ships are getting bigger and bigger there was a need to expand the canal. 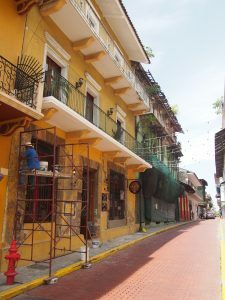 In 2016, the expansion was inaugurated. Crossing the canal through this expansion can cost up to 800.000 US Dollar. The whole transit from one ocean to the other takes 8 to 10 hours. 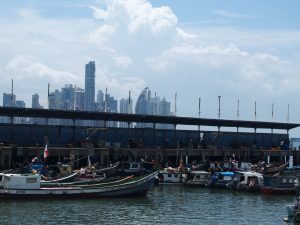 In case you want to see vessels passing the Miraflores locks, we recommend you to arrive around 8:30 in the morning or 2 pm. 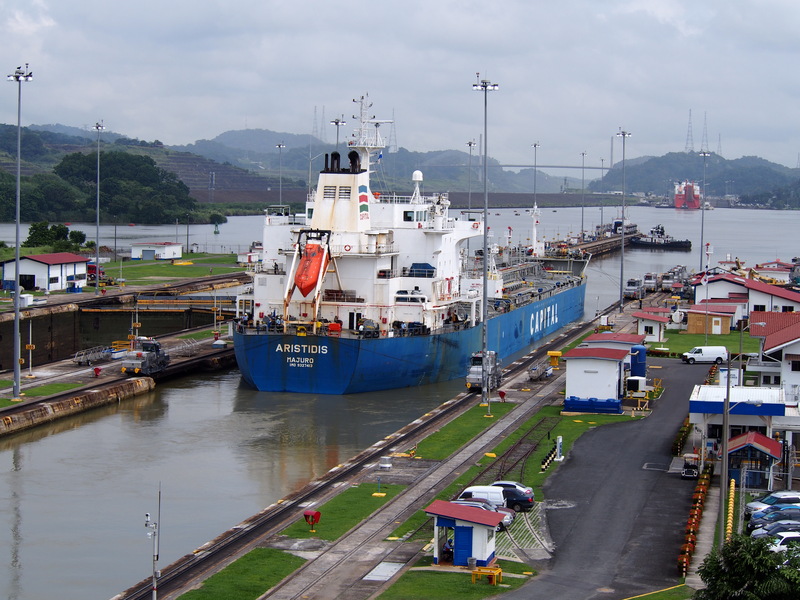 We arrived at 10 am and saw only one last vessel leaving the lock. There are certain schedules and we were quite unlucky to miss 10 vessels in the morning.